The Ijssellinie Cold War Fortification was built between 1951 and 1954 - during the "Cold War". 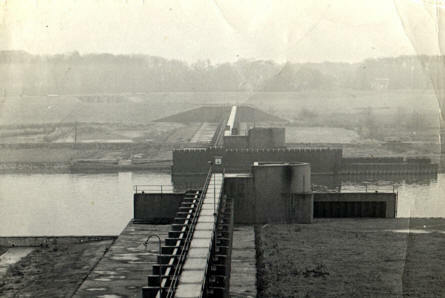 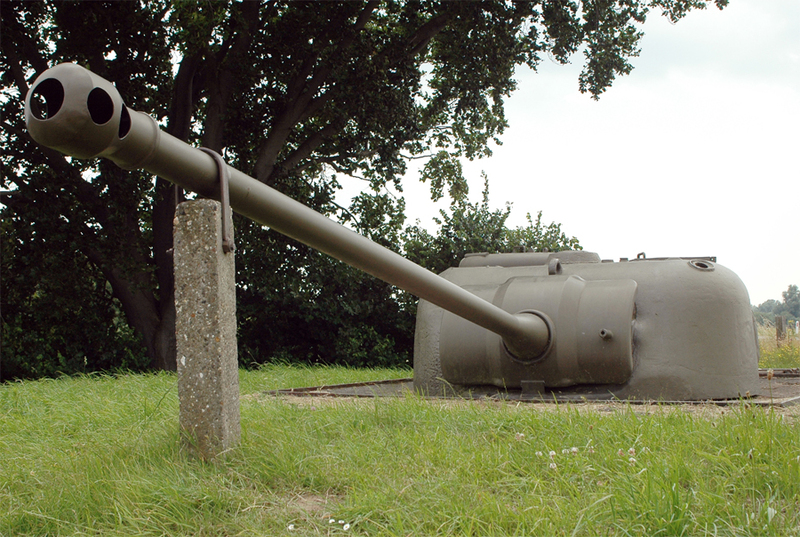 It was designed to protect against a possible Russian invasion the the Netherlands. Today some of the bunkers are turned into a museum for the "Cold War". 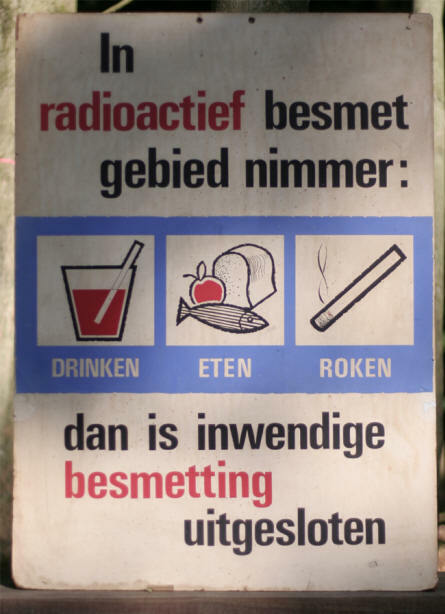 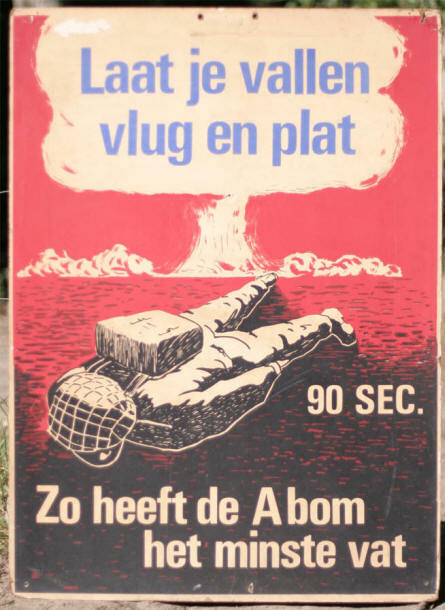 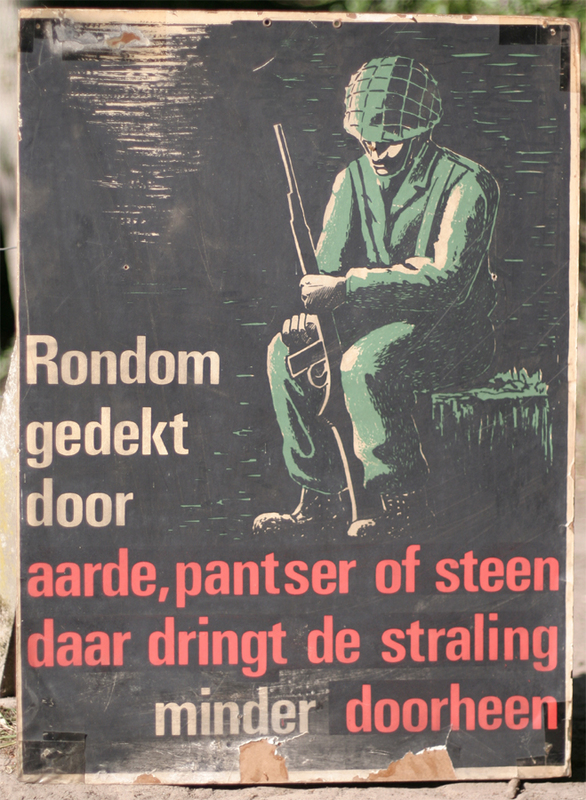 One of the many "Cold War" posters displayed at the bunkers at the Ijssellinie near Apledoorn. 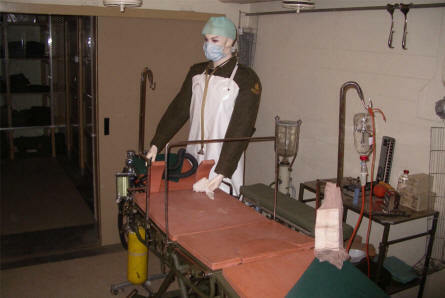 A field hospital in one of bunkers at the Ijssellinie near Apledoorn. One of the many "Cold War" photos displayed at the bunkers at the Ijssellinie near Apledoorn. A tank turret bunker at the Ijssellinie near Apledoorn.